Though oseltamivir and zanamivir are the active anti-influenza drugs, the emergence of different strains of influenza A virus with mutations creates drug-resistance to these drugs. Therefore, it is essential to find a suitable approach to stop the viral infection. 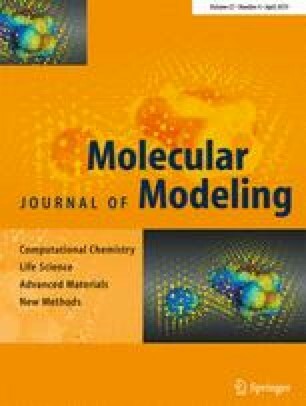 The present study focuses on understanding the conformational changes of the HA2 protein at different pH levels (pH 7, pH 6, pH 5) and on blocking the low pH-induced conformational changes of the HA2 protein with a suitable ligand using molecular docking and molecular dynamics (MD) simulation methods. As the pH value decreases to pH 5, the protein undergoes large conformational changes with less stability in the order of pH 7 > pH 6 > pH 5. The fusion peptide (residues 1–20) and the extended loop (residues 58–75) deviate more at pH 5. 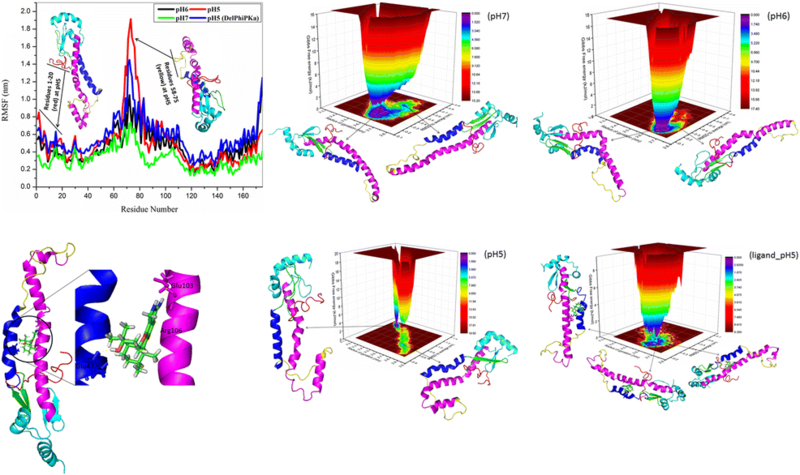 The ligand stachyflin bound between the N- and C-terminal helix regions retains the stability of the HA2 protein at pH 5 and blocks the low pH-induced conformational transition. The performance of stachyflin is increased when it directly interacts with residues at the intramonomer binding site rather than the intermonomer binding site. The susceptibility of the HA2 protein of different subtypes to stachyflin is in the order of H1 > H7 > H5 > H2 > H3. Stachflin has a higher binding affinity for H1 (at pH 7, pH 6, pH 5) and H7 subtypes than others. Lys47, Lys58, and Glu103 are the key residues that favor the binding and highly stabilize the HA2 protein at low pH. The online version of this article ( https://doi.org/10.1007/s00894-019-3982-y) contains supplementary material, which is available to authorized users. S. Kannan expresses his sincere thanks to CSIR, Govt. Of. India, New Delhi for the award of Senior Research Fellowship (Grant No: 09/472(0177)/2016- EMR-1 dated: 31.03.2017). Prof. P. Kolandaivel is thankful to UGC for the award of UGC BSR faculty fellowship.